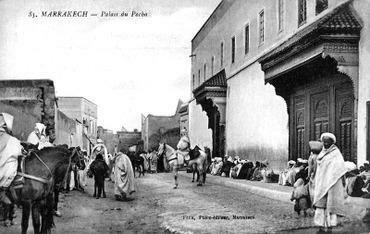 “Ouarzazate has one main street, about fifty yards long, and two thousand people, of whom two hundred are French. The temperature can reach 110 degrees Fahrenheit in the summer. 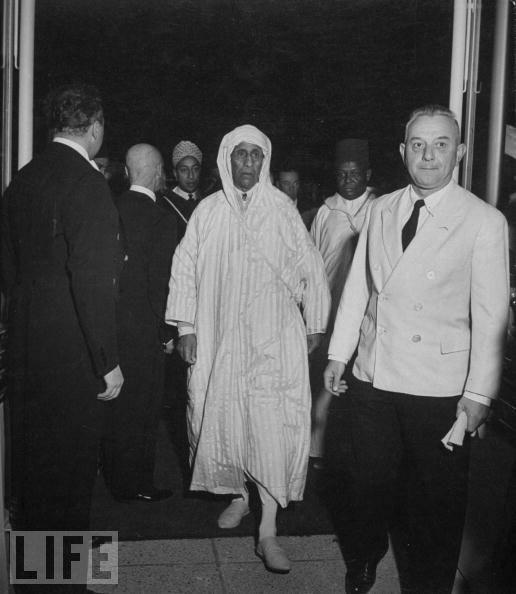 ” So says world-renowned journalist John Gunther in 1952, of his visit to Ouarzazate, during the reign of the Pasha Glaoui, whose honored guest he was. 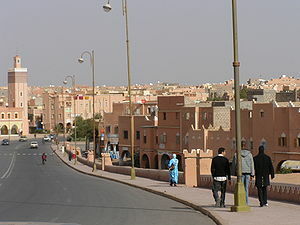 Ouarzazate today has grown into a city of over 60,000. 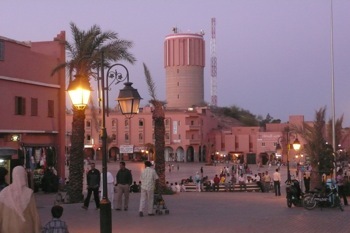 One of the most popular places to go at dusk is Place Al Mohadine which is home to Ouarzazate’s largest, local outdoor market that sells everything from spices to rose water and a charming cafe named Habous. 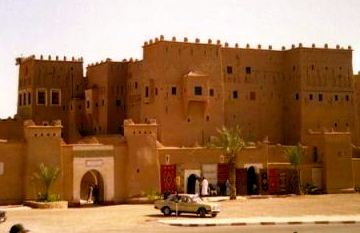 Inhabited by Berbers, in the past Ouarzazate was a point for African traders passing in and out of Morocco. 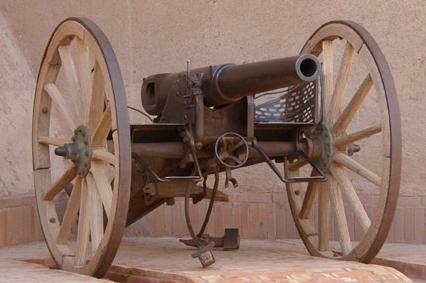 During the French era, it was a garrison town. 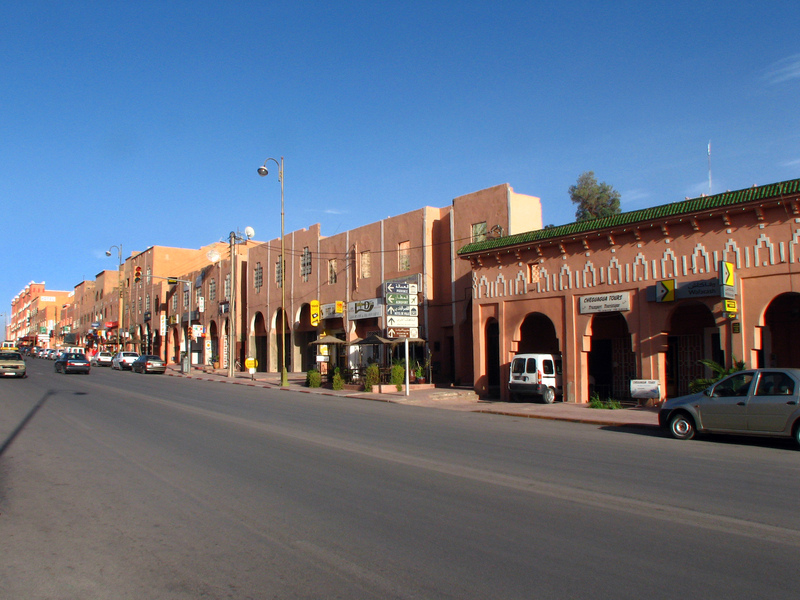 Ouarzazate today is the center of the Moroccan film industry, and the starting point for most Sahara Desert tours, as well as being the closest city to the kasbah Ait Benhaddou. 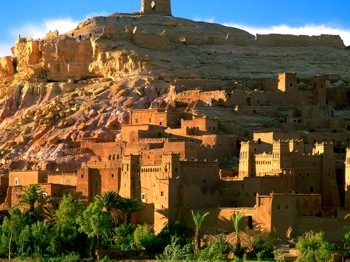 Some famous films that were shot at Ait Benhaddou Kasbah include the Kingdom of Heaven, and Penelope Cruz’s Sahara. Moroccan terjla (the Moroccan Arabic name) is frequently prepared as a side dish, and can be served either hot or cold. 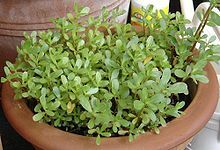 Terjla, a succulent plant, known as purslane in English and verdolaga in Spanish, is not only one of the most delicious Moroccan plants, but it is simple to prepare. Being a dark green plant, it is loaded with iron, vitamins, and minerals. It also has a mild lemony flavor. When traveling to Morocco make sure to ask your Moroccan Travel Agency to recommend restaurants or local places where you can taste Moroccan terjla in a traditional restaurant. Terjla is not often available in the major supermarkets because it is considered a traditional Moroccan dish, and the supermarkets often cater to products they feel will appeal to a broader audience of foreigners and less traditional Moroccans. However, terjla can easily be found from late spring to late autumn in all the local vegetable markets. The best place to find it in Marrakech is the small vegetable sellers just inside Bab Dukkala; however, it is found in many other places. It’s a traditional staple in the cuisines of Fes, Casablanca, Tangier, Agadir, Ouarzazate, and Marrakech. 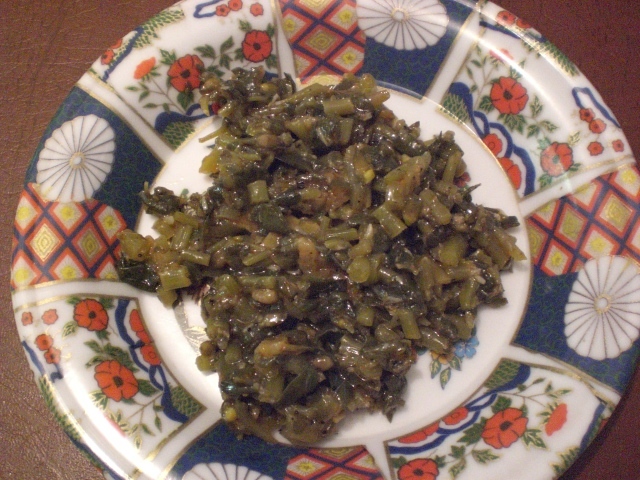 If you are traveling in Morocco, you are most likely to eat terjla in a private home. 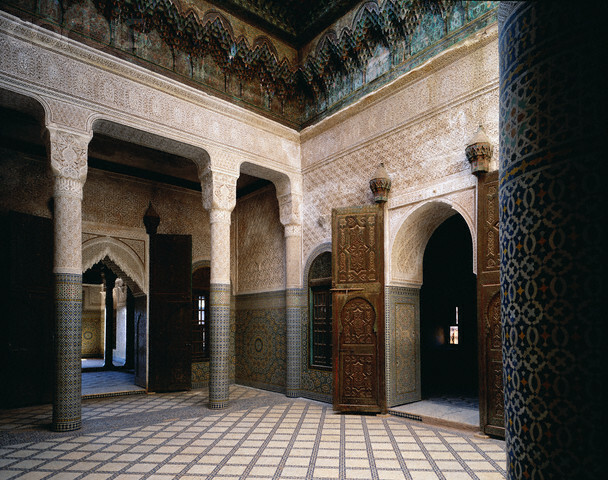 If you are staying in a smaller hotel or riad and would like to try it, request it a day in advance, and they can look for it in the local market. Most places would probably be delighted to prepare it for you. 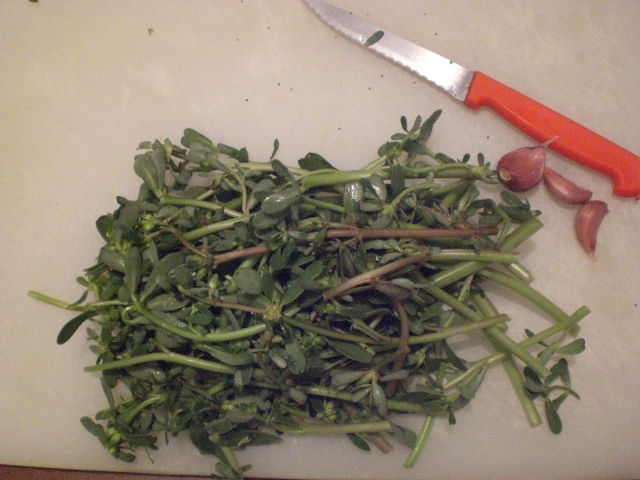 Discard any bruised leaves, and chop terjla (stems and leaves together) into 1/4″ (1/2 cm) pieces. Put into a deep bowl. Fill with water, and swish well; pour through a large strainer to drain out wash water. Put terjla into water with some salt (it’s not a bitter plant, so take care not to oversalt it) and boil about 20 minutes until tender, but not limp). Drain water. Season and toss gently with a clove or two (depending upon quantity) of freshly minced garlic, a little cumin, a little paprika, salt to taste (carefully) OR a very small piece of preserved lemon (but not if you added salt–use only one or the other), and a little olive oil. Red olives can also be added. 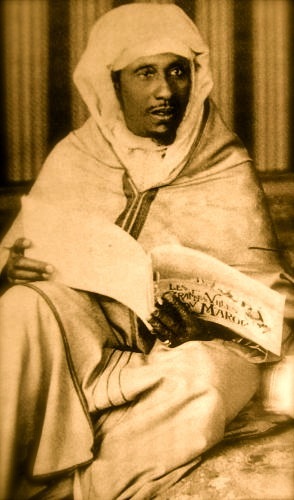 Wash and trim the terjla of any bruised leaves (if it is just fresh from the market, it will only need to be washed). I suggest swishing it two or three times in a deep mixing bowl of water. Sometimes some very tiny black seeds will fall out if the terjla is in bloom. But if there, these seeds are so tiny you don’t need to worry about them. 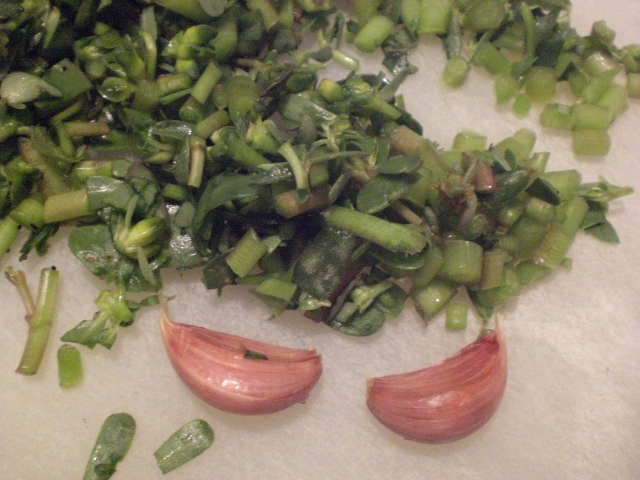 I trimmed off the tiny seed pods before chopping the terjla. 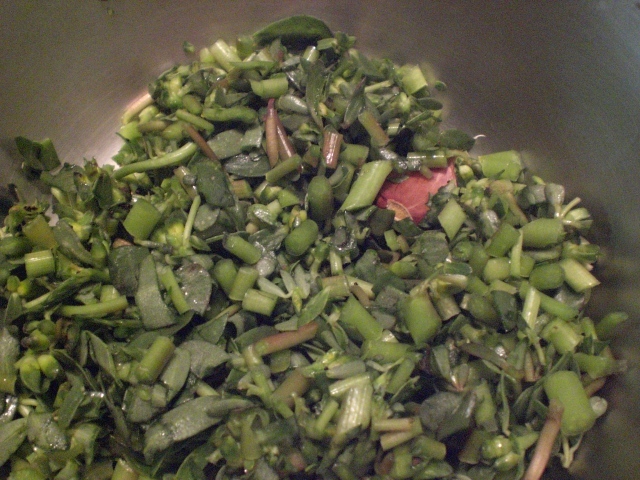 Chop terjla (stems and leaves together) into 1/4″ (1/2 cm) pieces. Have ready one large unpeeled garlic clove for each cup of chopped terjla. When the terjla is done, the garlic will be cooked inside. 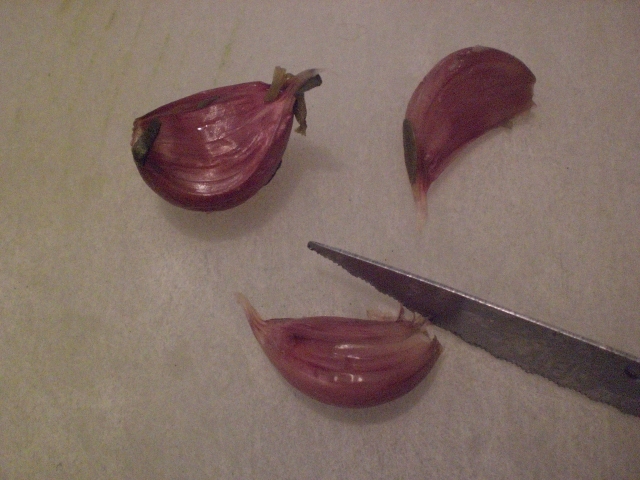 Remove the garlic cloves, and carefully slice off the end. 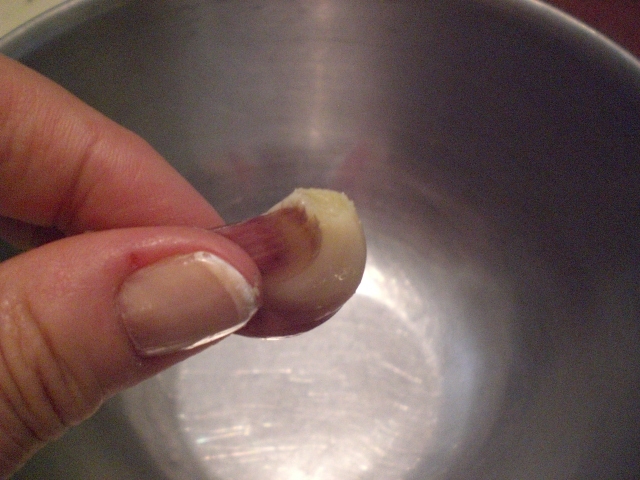 The cooked garlic can be easily squeezed out into a small bowl from the opposite end. Mash it into a paste with the back of a large spoon. 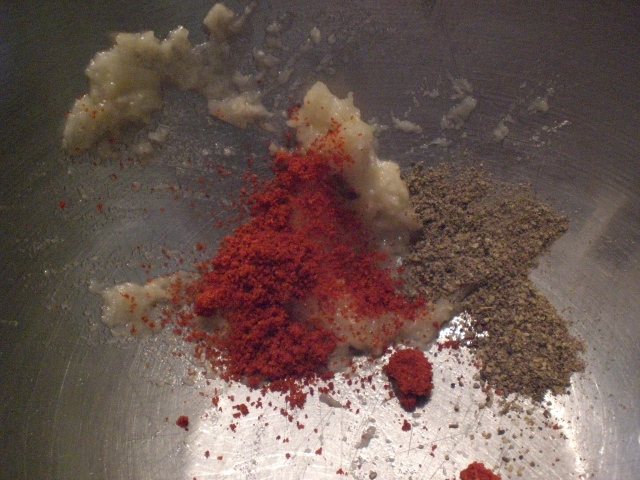 Add a small amount of black pepper and paprika to taste (1/8 tsp. of each for each cup of terjla). Choose ONE of the following two : salt (lightly, to taste) OR a small piece of Moroccan preserved lemon (no more than 1/2 tsp. 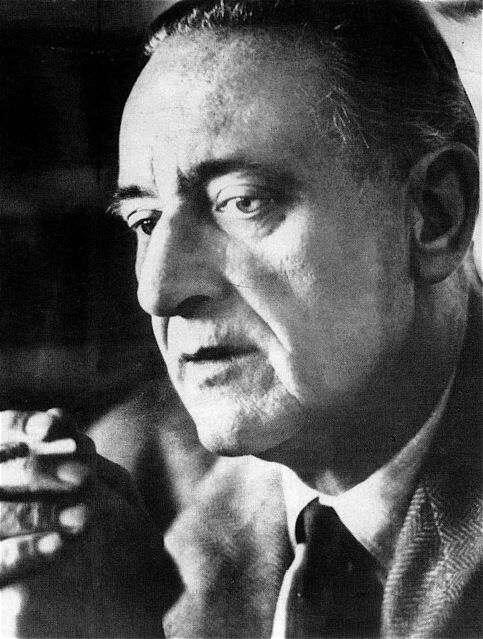 per cup of terjla, and take care not to use ANY salt). Mix well, and add 1/2 Tbsp. of virgin olive oil for each cup of cooked terjla (or more to taste). Mix again well. Add cooked terjla, and toss gently with a spoon until mixed well. Optional, for olive lovers: add two or three whole red olives for each cup of terjla. Serve in side dishes at room temperature, warm on a cold day, or chilled on a hot day. Terjla is delicious at any temperature. Moroccans usually eat it with bread, as they do tagine; however, it may also be eaten with a spoon as a salad. 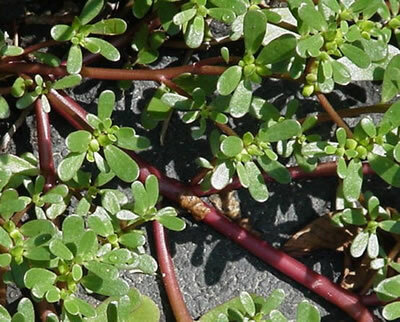 According to experts, purslane contains more omega-3 fatty acids than any other green leafy vegetable plant. It also contains vitamins A, C, and B, as well as iron, magnesium, calcium, and potassium. Wild species often grow along the ground, while cultivated species often stand more upright. It has been used both as a salad and medicinal plant with many uses for hundreds of years. 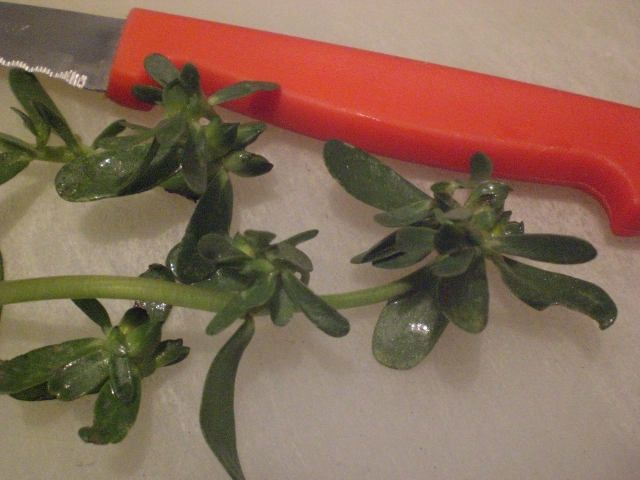 Purslane is commonly used in salads in France. 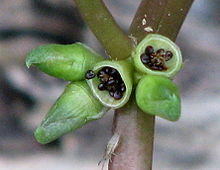 The plant is believed to be native to the area of India and Iran. 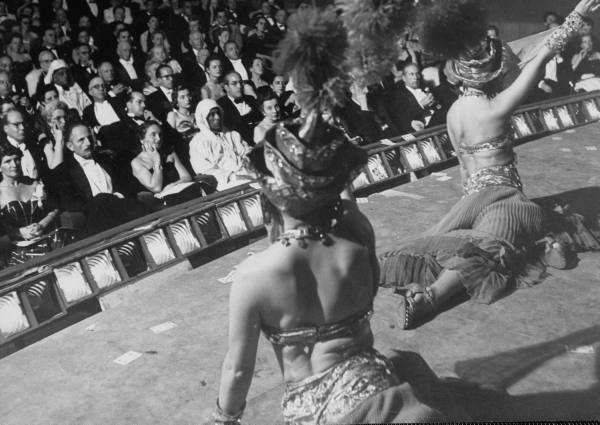 You are currently browsing the archives for the Ancient Medinas in Morocco category.